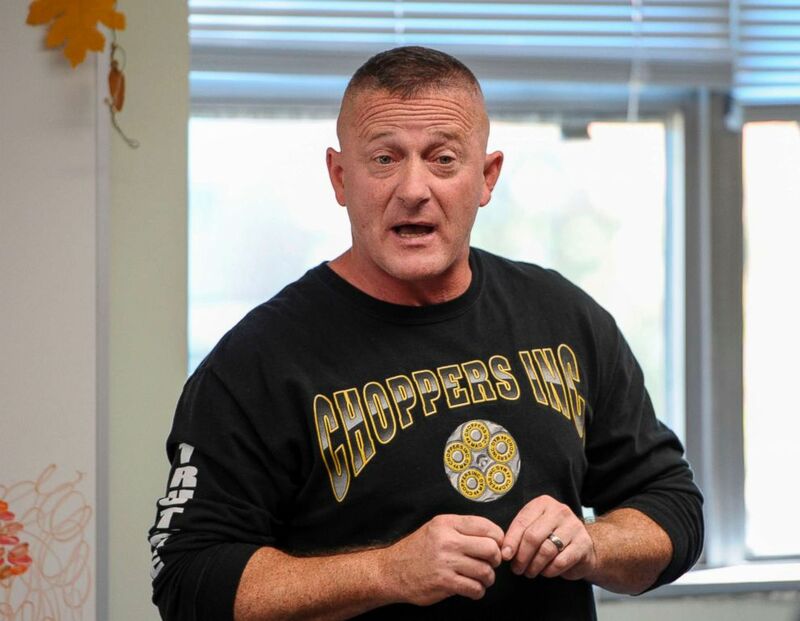 Richard Ojeda spoke on the "Powerhouse Politics" podcast. He voted for President Donald Trump in 2016. He's been described as "JFK with tattoos and a bench press." He recently lost his race for a U.S. House seat in West Virginia. And now, Democrat Richard Ojeda is running for the White House in 2020. Ojeda joined ABC News’ Political Director Rick Klein and Chief White House and Washington Correspondent Jon Karl this week on the "Powerhouse Politics" podcast to discuss his long-shot White House bid and his relationship with President Trump. A retired Army paratrooper, Ojeda chose the Veterans Day holiday to officially announce his bid for the presidency. In his 2018 race to represent West Virginia’s 3rd Congressional District, Ojeda came up short behind the Republican candidate but managed 43.6 percent of the vote. The previous Democrat running in that district lagged 23 points behind that number in 2016. Ojeda told the podcast he voted for Trump in 2016 largely because of his promise to restore the coal industry, which would help families in his district. Since 2016, though, Ojeda has been critical of Trump and the president hasn’t shied away from firing back. 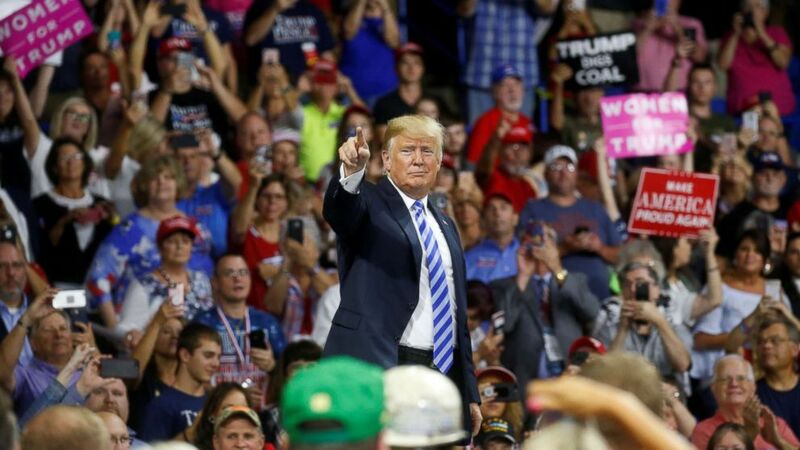 (Leah Millis/Reuters) Donald Trump acknowledges supporters during a Make America Great Again rally at the Civic Center in Charleston, W.V., Aug. 21, 2018. Ojeda received national attention during his campaign, owing in part to his unique backstory and physical presence. He says that although he failed in his House bid, he can still draw broad support in a run for president because he is a Democrat that cares about the working class. (Michael MathesAFP/Getty Images, FILE) Richard Ojeda, Democratic candidate for a US House seat in West Virginia addresses an audience during a political round table at Marshall University in Huntington, West Va., Oct. 18, 2018. The first pillar of his campaign, he says, is combating corruption. Ojeda wants to make sure that those elected to federal positions are willing to sacrifice in order to relate to their constituents. “I’m saying right now that if you’re going to serve this nation in a federal position you need to start proving that you’re willing to sacrifice first. I’m saying ... that people are sick and tired of the millionaires running the system,” Ojeda told Klein and Karl. The results of the midterm elections in the House seem to reflect that sentiment. They’re also causing a stir in the White House, as Trump questions what his next moves will be. Department of Homeland Security Secretary Kirstjen Nielsen is on her way out of the Trump administration, according to Karl’s sources, which could lead to a shuffle of other administrative positions, Karl said. "Powerhouse Politics" also talked with ABC News correspondent Paula Faris about her new podcast "Journeys of FAITH with Paula Faris." Faris launched the podcast on the premise that faith plays a large role in most everyone’s lives, but is rarely talked about in the public sphere. She would like to change that. “I do want to talk to a lot of politicians about their particular faith and he role that faith does play in policy and in their decisions. Because, some will say ‘Well, I’m personally, you know, anti-abortion, but when it comes to policy I don’t believe that the government has a role in that,’” Faris said.